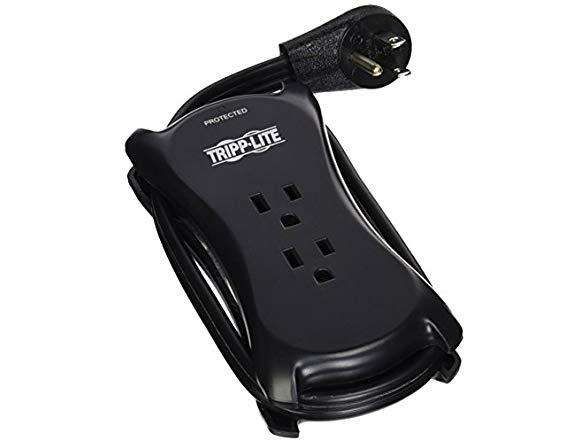 Tripp Lite 3-Outlet 2 USB Surge Protector, Perfect for Travel! Size 7.60in. x 3.60in. x 2.60in. Size:7.60in. x 3.60in. x 2.60in. 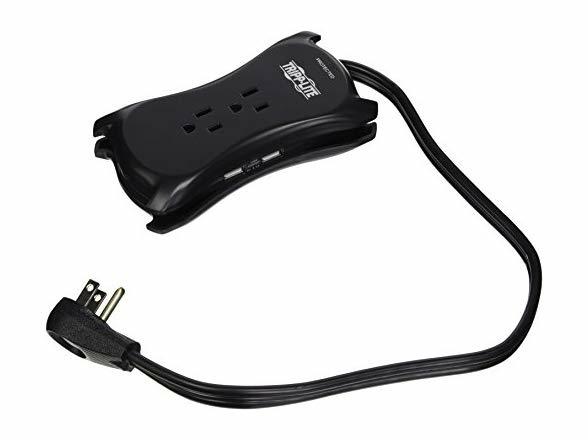 Surge protector offers complete surge suppression for laptops, electronic notepads, personal organizers and more. 540 joules of AC surge suppression shields your equipment from the strongest surges and line noise. Two, one-amp USB charging ports are perfect for charging cell phones, MP3 players and more. Portable housing with an 18" concealable cord allows ease of mobility and travel in briefcases. Diagnostic LED confirms the outlet surge suppression status. Compatibility: Laptops; Notepads; Personal Organizers; Electronic Devices; USB Chargeable Devices. Size: 7.60in. x 3.60in. x 2.60in.